Whenever a bet is made, a question should be constantly be swirling in your head — what does the bet mean? Overbets are often easier to decipher. Relatively speaking, they are loud and sometimes clear. If someone bets something wishy-washy like two-thirds of the pot, that person could have just about anything. But betting three times the pot, well, it is unlikely the player has a weak one-pair hand. The following hand of online poker features just such an overbet. But in this case the player responding had to think through a few possibilities for what the big bet could mean before acting. It was a $100 buy-in no-limit hold'em cash game ($0.50/$1) played six-handed, and began with a lot of action preflop. A weaker player raised to $3 from the cutoff, then the button, a grizzled, spends-too-much-time-in-front-of-the-computer type, three-bet to $8. The small blind didn't want to leave the party and cold-called. The big blind then decided to put in another reraise, four-betting to $22. The initial raiser folded and the button, noticing the effective stacks with this cold four-bettor were about $350, decided to call. The small blind, now getting the idea, folded. The flop came and the big blind elected to continuation bet just $16. Now in four-bet pots, usually, less is more, when it comes to fold equity. The stacks behind are small compared to a huge pot, so bets can often get more accomplished for less. But with over $300 still behind, this isn't the case here. The button should continue with just about everything he called with preflop. If the out-of-position big blind has pocket kings for top set, that might be good. But otherwise, everyone needs a little fold equity sometimes. After the button called the board paired with the . Check-check. The river then appeared a total blank, making the final board . After having built a pot of around $100, what looked like a hand of fireworks had fizzled out. That is until the big blind decided to make a big out-of-nowhere overbet — to $163! 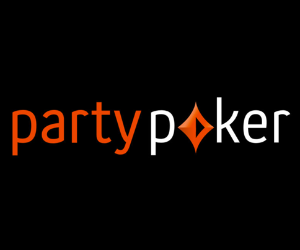 Sign up for partypoker and get a deposit bonus of up to $500 + Get up to 40% back every week! Since 2001, partypoker has consistently been one of the largest and trusted online poker sites available for real money play. partypoker is committed to attracting casual and recreational players to its site, which makes for a softer player pool. It is worth revealing at this point that on the river the button had made a wheel with . Rather than being a blank, that river appeared to be a total gin card. Once the button saw the size of his opponent's bet, his cursor may have slowly crept left from its hover over the raise button to the safer area of just call. If the big blind is bluffing here — remember, the big blind cold four-bet three players and bet a K-5-2 rainbow flop, then checked a five turn to bomb a "blank" river trey — he won't be able to call the button's raise. In this situation, only value hands like , , , and can call a raise. But the question of course is, would the big blind call with these value hands? And perhaps equally importantly, with what hands would the small blind have bet this exact size on this runout? Certainly pocket kings could feel like they missed value, having not been raised on the flop and also having not solicited a bet after checking the turn, and thus, bet this size on the river to recoup some of those shortfalls. and could also make for good overbets of this size. After all, these hands rate to be best and they are ahead of any bluff catcher or showdown hand that the button has. But the key point is that, even if the big blind is good enough to bet these one-pair hands for 163 percent of the pot, he is unlikely to call off a raise after having done it. Thus our button has a remarkably straightforward decision. He doesn't know exactly what this bet from the big blind means. But he knows what it does not mean. It does not mean the button should raise all in! Indeed, the button just called and was shown an airball bluff — . Sometimes in this spot the button will chop with another that also thought it had hit a miracle river. Occasionally, he'll get scooped by a full house. But because all worse hands fold to a raise and his hand is much too strong to fold, the button is left, perhaps to his chagrin, unable to get the rest of the money into the pot. He has one choice on the river, and that's to press the call button. 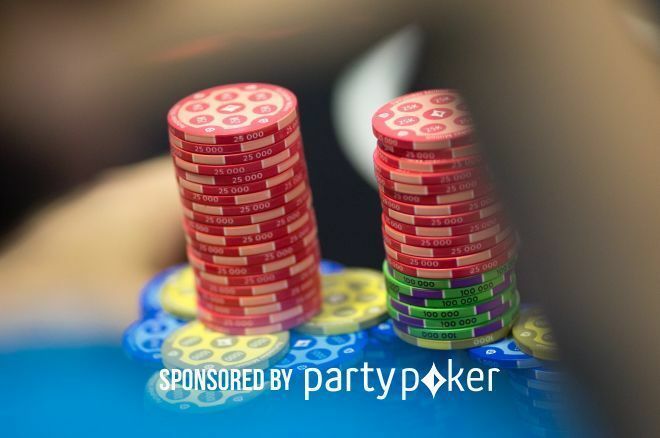 This strategy article by Gareth Chantler for PokerNews is sponsored by partypoker.